What is the 'Give' pot? 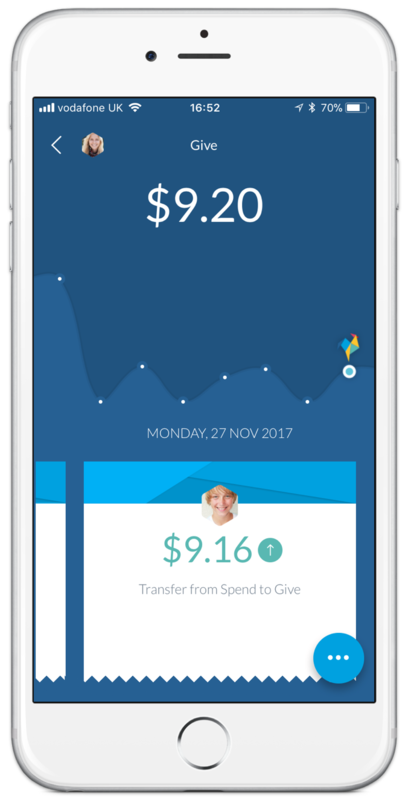 If your child is supporting a cause or charity, they can now track their contributions from their allowance in the 'Give' pot. Whether it's a regular amount they are putting aside, or a one-off, they can see how much of their allowance they've used towards giving back. When your child wants to add money to 'Give', they can transfer the amount over from their 'Spend' pot (see 'Spend pot' article linked below for more information on how to make a transfer). When you are both ready to make a donation to your child's chosen cause/charity, as a parent, you can ' Remove' the amount directly from the 'Give' pot and add the reason why it's being deducted for reference (e.g. Donating to 'xyz' charity). Just tap on the quick action icon in the bottom right corner. 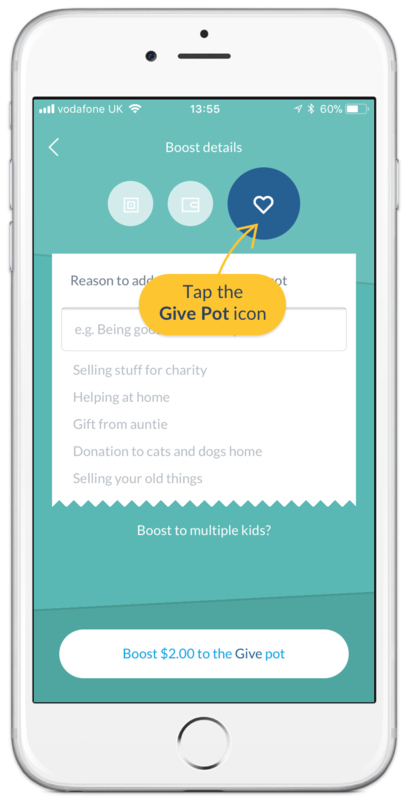 As a parent, you also have the option to make a Boost or Remove to the Give pot directly from the family dashboard. Just tap the plus (+) button next to your child, and switch the pot to Give when you're on the Boost details screen. What is the Spend pot? Can I hide the 'Give' pot?